International Lens, which uses film screenings as a forum to promote conversation in the diverse community of Vanderbilt and Nashville, is in its fifth semester on campus. All screenings are free and open to the public. 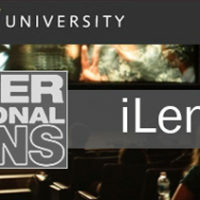 International Lens has been named the best film series in Nashville by Nashville Scene film critic Jim Ridley. The series is sponsored by the Office of the Dean of Students and various departments, centers and programs at Vanderbilt.